Here is a wedding card in white and beige made from the Vintage Wedding collection. Ewa, this is so beautiful! It’s elegant and shabby chic and at the same time being so very elegant! Love all that you did on this card…pure perfection! 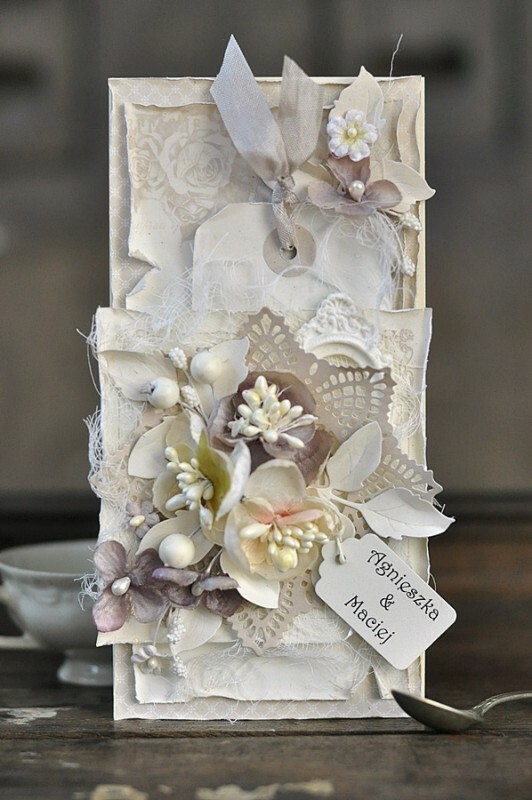 Love how you distressed this gorgeous card, flowers and die cuts are wonderful, too!